The Apple iPad will be available in Australia for $629 (16GB), $759 (32GB) and $879 (64GB) for Wi-Fi–only models and $799 (16GB), $928 (32GB) and $1049 (64GB) for Wi-Fi + 3G models. The iPad will be sold in Australia through the Apple Store, Apple's retail stores and select Apple authorised resellers, and will not be available through telcos (unlike the iPhone). Apple also confirmed that the iPad's iBooks app, which includes the iBookstore, will be available as a free download at launch. The iBookstore's launch was widely expected to be delayed in Australia. Telstra was the first telco to announce it will offer dedicated data plans for iPad 3G, starting with its prepaid SIM for Apple iPad kit which includes 1GB of data for $30. Telstra is offering $20 (1GB), $60 (6GB), $80 (9GB) and $100 (12GB) data plans, but all have a 30-day expiry. All data plans are available without a contract. Telstra also revealed it will provide a bonus 2GB of data for customers who activate the iPad prepaid SIM kit before June 30. "Telstra’s pricing for iPad 3G gives customers control and flexibility to access the Internet on-the-go while connected to the Telstra Next G network," said Ross Fielding, executive director, Telstra Mobility Products. Telstra customers can recharge their data allowance using Bpay or by buying recharge vouchers at selected stores. Users can also recharge by visiting myprepaid.telstra.com/ipad on their iPad. This "My Account" menu allows customers to check their balance, recharge, use a credit card for payment and view account history. Optus is offering both prepaid as well as BYO month-to-month iPad data plans. The telco is offering three month-to-month plans ($20 for 2GB, $30 for 3GB and $60 for 8GB) as well as a range of prepaid plans. An Optus prepaid starter kit will cost $30 and includes 2GB of data, twice the amount that Telstra includes in its starter pack. Optus recharges start $15 for 500MB of data with a 15-day expiry and range up to $130 for 14GB of data with an expiry of 60 days. Other prepaid Optus options include $20 (1GB/15 day expiry), $30 (3GB/30 day expiry), $40 (4GB/30 day expiry), $50 ($5GB/30 day expiry), $70 (9GB/60 day expiry), $80 (8GB/186 day expiry), and $100 (12GB/60 day expiry). Optus announced the new plans as "mobile broadband plans for micro-SIM devices" without referring to the iPad specifically. Currently, the iPad is the only device in Australia that uses the micro-SIM format. "Optus' new mobile broadband plans for micro-SIM devices provide a range of prepaid and post-paid options for Optus customers looking to make the most of the Internet on the go," said AustinBryan, marketing director for Optus Consumer. "With our great value, data rich mobile broadband plans we are confident more people will choose Optus." VHA (Vodafone Hutchison Australia) was the last telco to announce its dedicated iPaa data pricing, just two days ahead of the iPad launch in Australia|. 3 mobile will offer both dedicated prepaid and monthly data plans for iPad with Wi-Fi + 3G models, while Vodafone has strangely only announced prepaid plans. Vodafone is offering six prepaid data plans, starting at $9.95 (250MB/30 day expiry) and ranging up to $150 (12GB/365 day expiry). Other prepaid options include $14.95 (1GB/30 day expiry), $29.95 (4GB/30 day expiry), $49.95 (Unlimited MB/30 day expiry) and $100 (6GB/100 day expiry). 3 mobile has a smaller range of prepaid data plans, but offers "bonus data" each time customers recharge. The plans are are follows: $15 (500MB+1GB bonus/30 day expiry), $29 (2GB+2GB bonus/ 30 day expiry), $49 (4GB+2GB bonus/30 day expiry) and $149 (12GB/365 day expiry). 3 claims the bonus data will not be available immediately upon recharge but will be credited to an account and available for use within 48 hours of a recharge. In addition to prepaid plans, 3 mobile also offers two month-to month plans — $15 for 1GB and $29 for 3GB. "Vodafone and 3 are bringing consumers the best value iPad data plans, with the best $15 plan from 3 and Australia's only truly 'unlimited data' plan on Vodafone - so consumers can spend as much time as they like doing what they love online," Nigel Dews, CEO of VHA. "Vodafone and 3's iPad plans are simple, affordable and packed with unbeatable value." 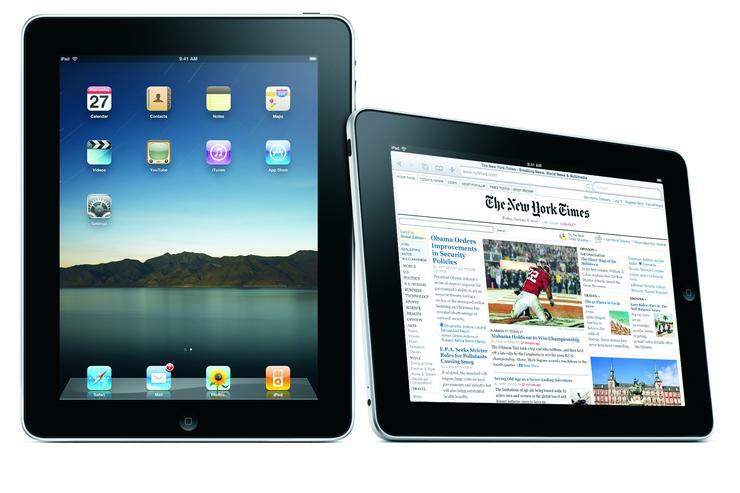 Apple will also launch the iPad in Canada, France, Germany, Italy, Japan, Spain, Switzerland and the UK on May 28.